Musicians, vocalists, actors, graphic designers, sculptors, painters, and artists form the Fine & Creative Arts Department at Catholic High. These students learn about history, foundational principles, and are assessed mainly by studio-based or performance-based projects. McCafferty Hall has been home to Catholic High's Visual & Performing Arts Department since 1960. When one walks the hall, she experiences creativity, displayed in the hard work of our student artists, photographers, musicians, actors, and singers. 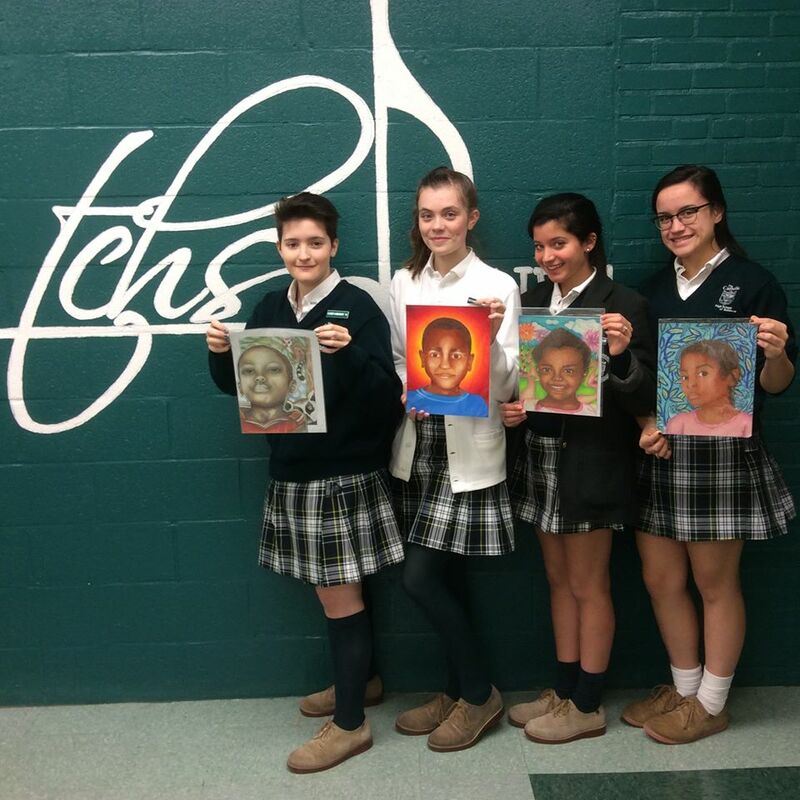 From art to theatrical productions to concerts, Catholic High's love for creativity shines. 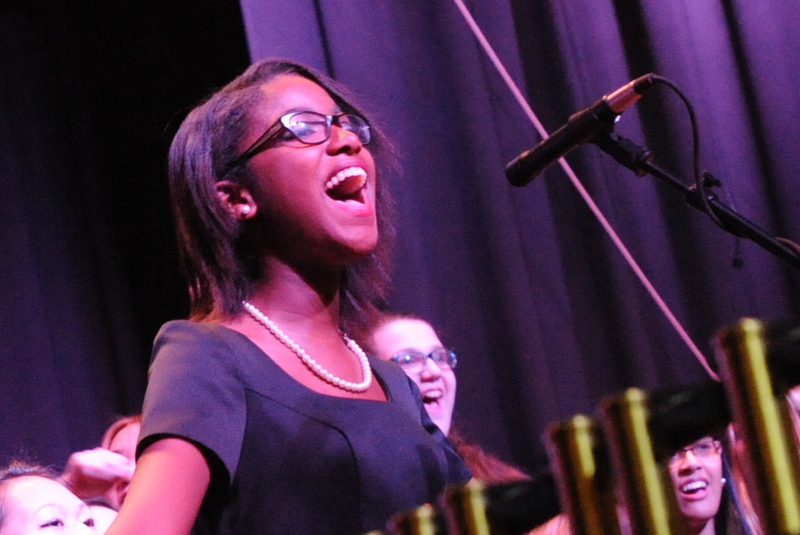 Our comprehensive visual and performing arts curriculum helps to provide each Catholic High student with a full range of study that keeps our students involved and engaged. Students of every skill level are invited and encouraged to broaden their knowledge in one of the arts disciplines, and thereby fulfill their one arts credit requirement for graduation. Click here to view a detailed listing of the courses offered. 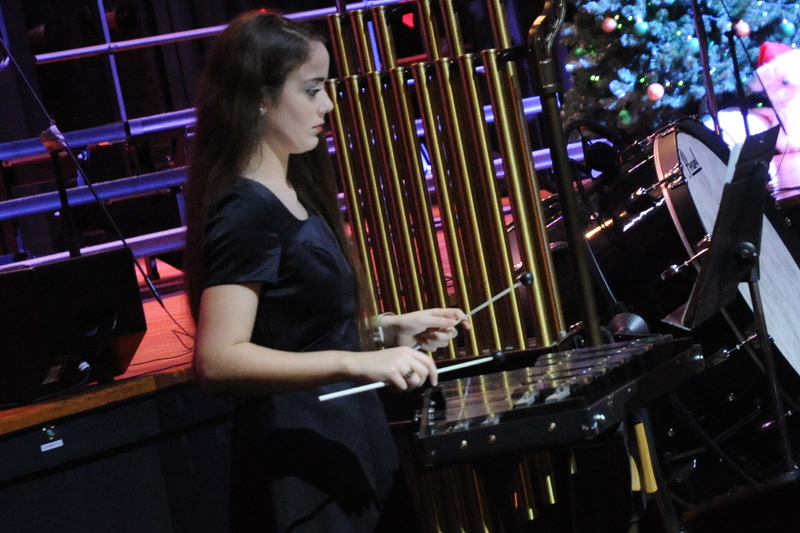 The Honors Program allows young women to concentrate in one specific area of the arts, thus preparing them more completely for further collegiate studies.This Program requires an interview and audition for its sequenced course of study in either Band, Choir, Orchestra, Piano, Theater or Visual Art. The students will complete graduated levels of instruction in their particular discipline, build college prep portfolios, participate in regional competitions, and will have musical performance and art exhibition opportunities.